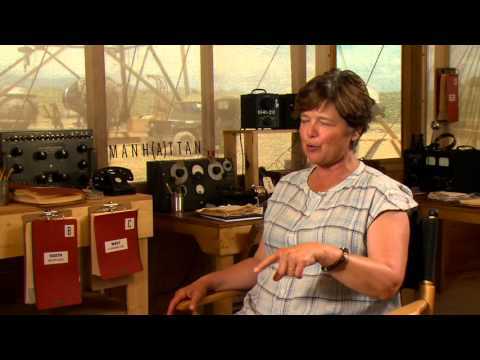 Los Alamos Monitor Reporter Arin McKenna interviewed three members of the “Manhattan” production staff on set this summer. Watch the interviews at the links below and read her full interview with Alex Wellerstein in Sunday's Los Alamos Monitor. Interview with “Manhattan” Historical Consultant Alex Wellerstein and Science Consultant David Saltzberg at www.youtube.com/watch?v=AUTpdi4uyVs&feature=youtu.be.